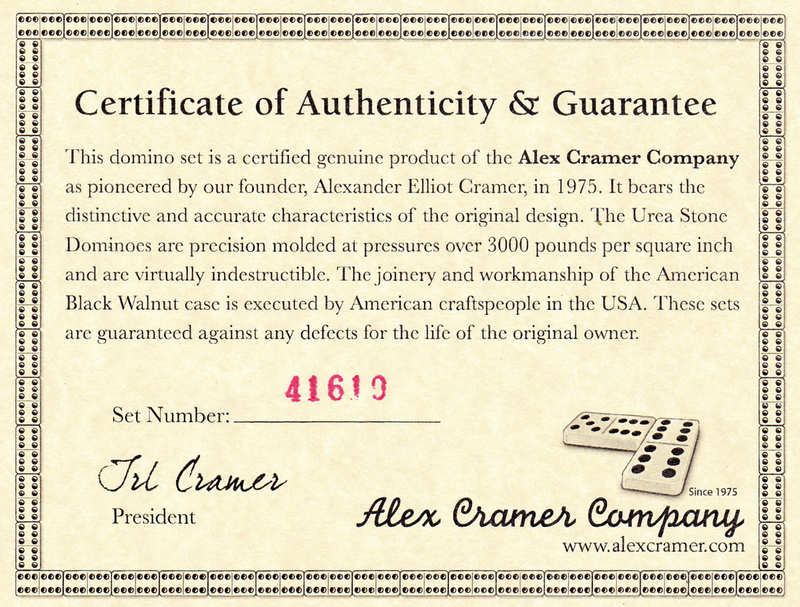 "You were very accommodating to everything I asked for, including sending me a domino to actually hold before buying." 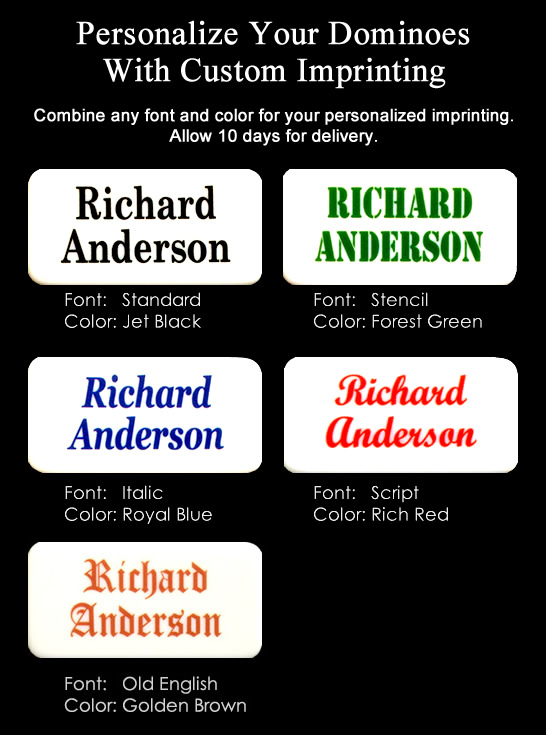 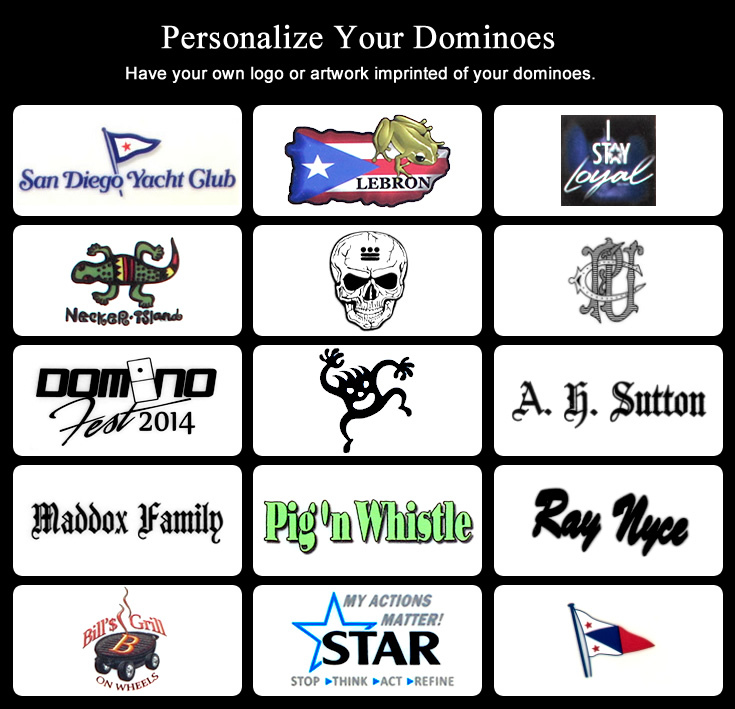 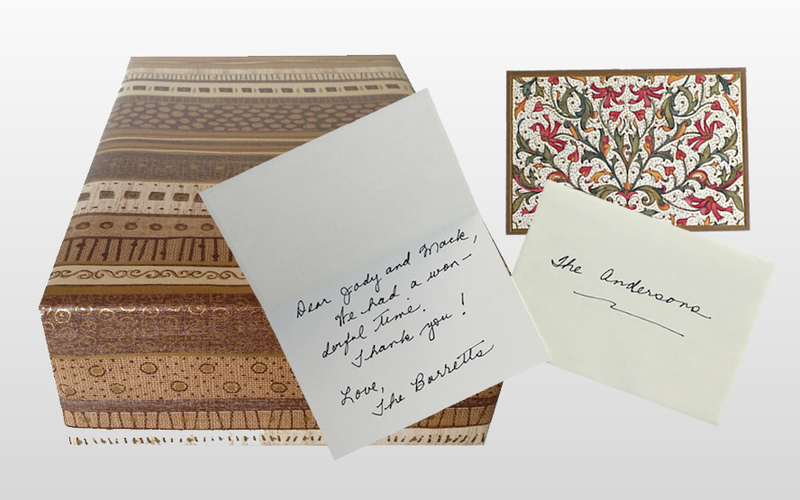 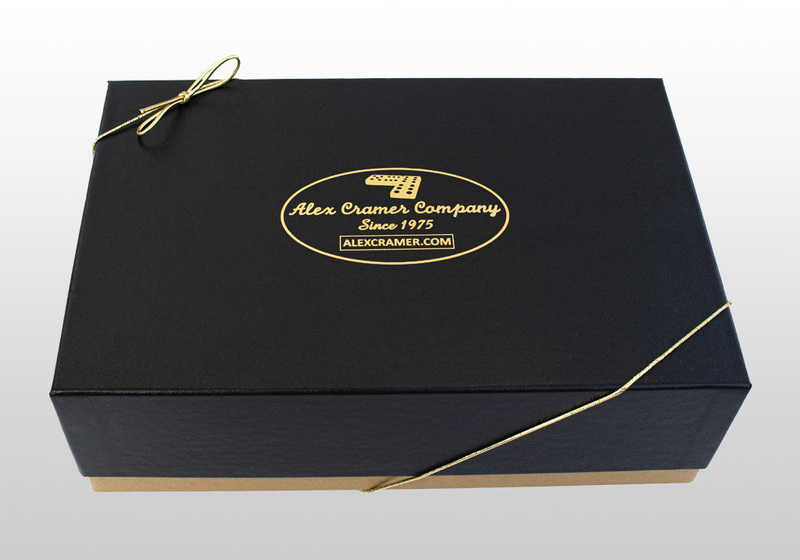 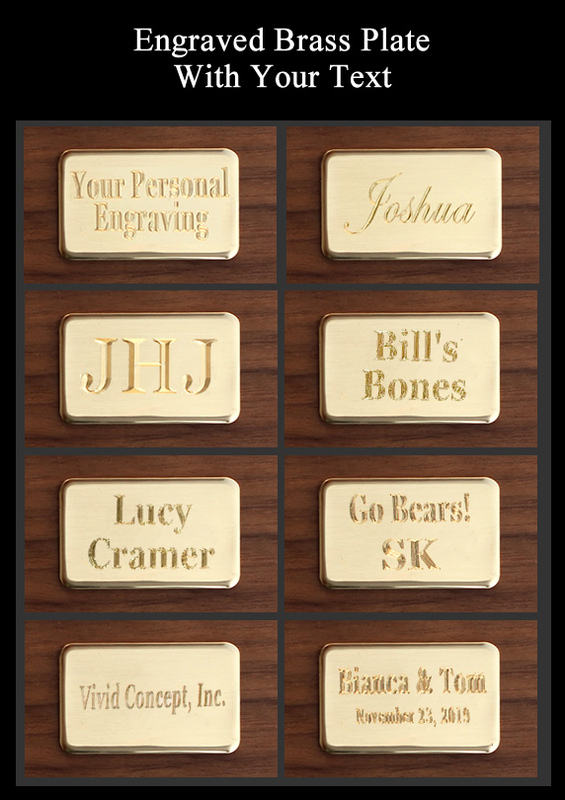 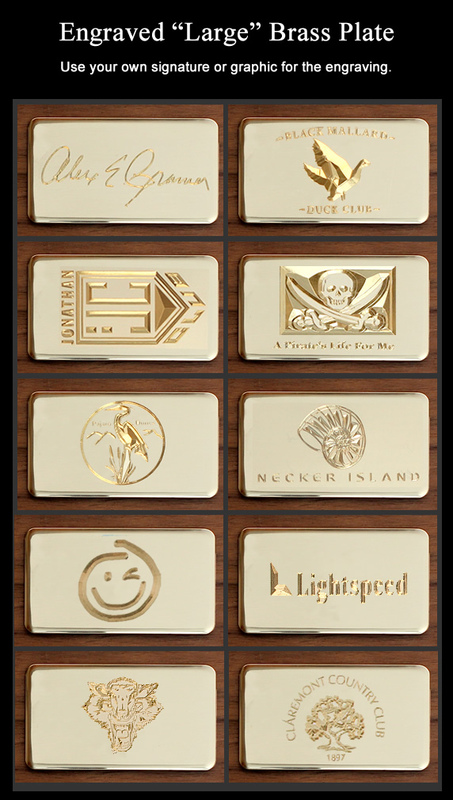 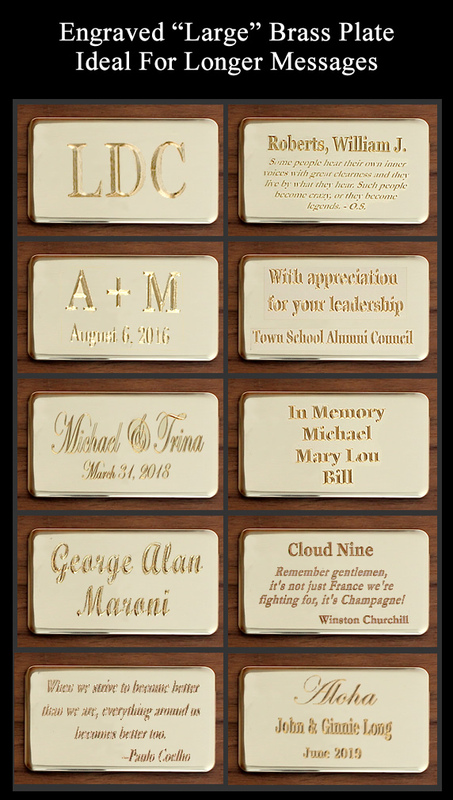 "The set is fantastic...you have a customer for life!!! 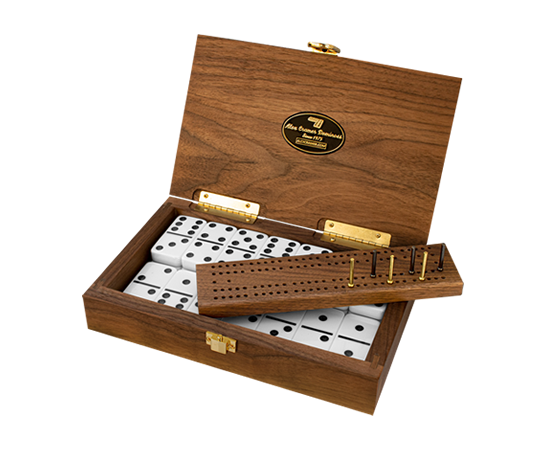 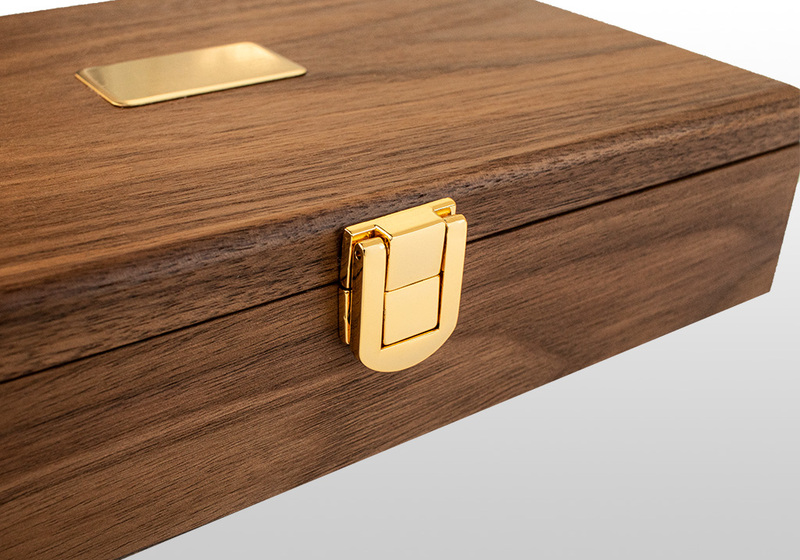 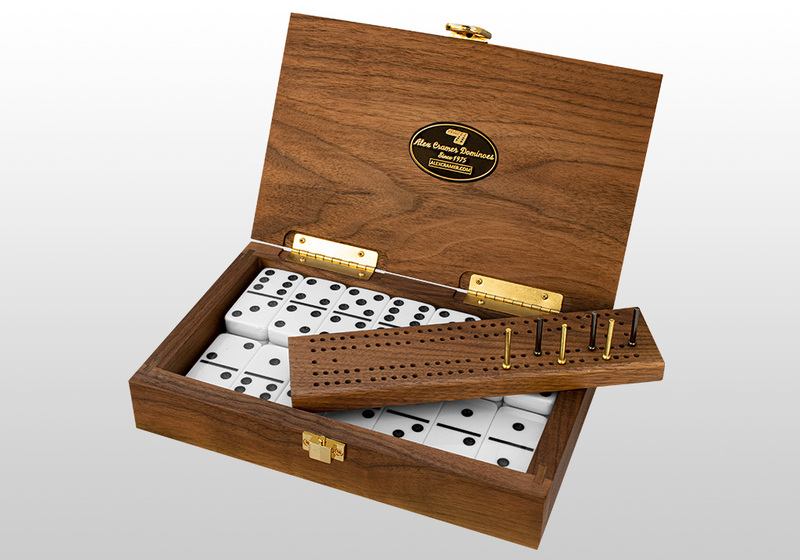 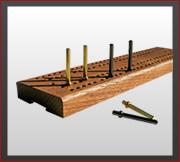 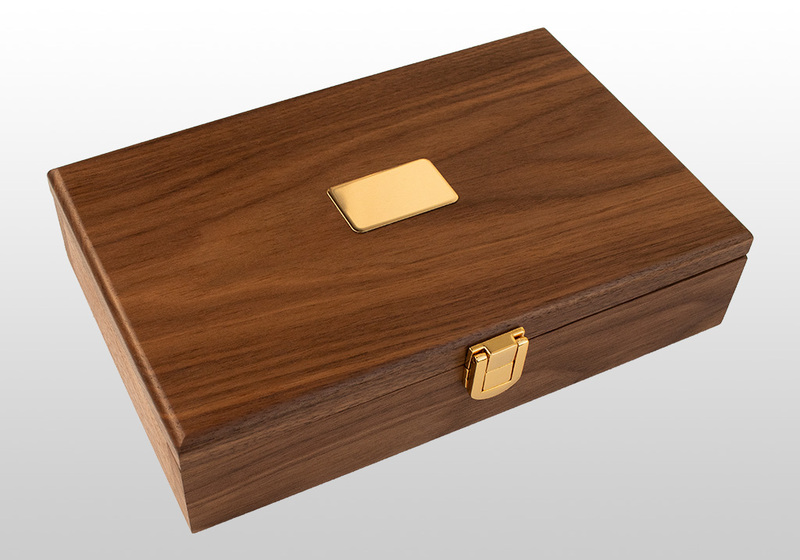 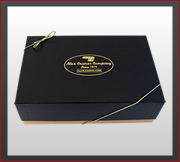 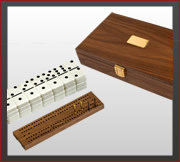 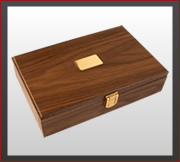 Thank you "
Classic Domino Size: 2" x 1" x 3/8"
American Walnut Case Size: 8-1/4" x 5-1/4" x 2"
Includes upgraded solid American-grown walnut cribbage board. 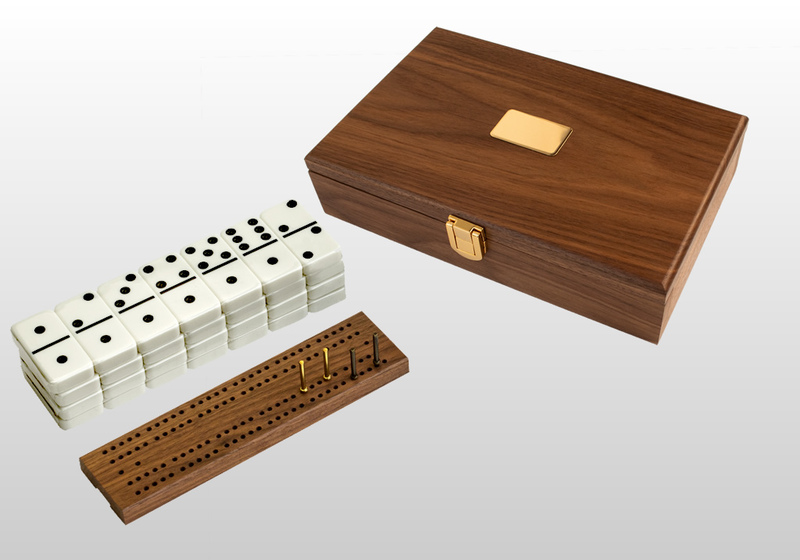 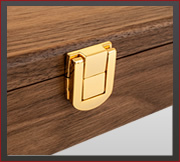 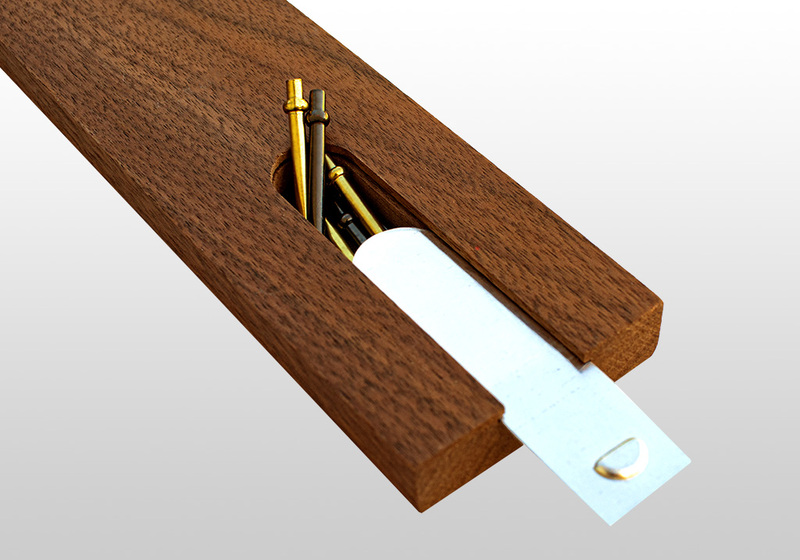 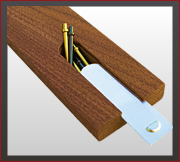 Board has a sliding door storage compartment on the bottom and comes with six pegs rather than the traditional four pegs (in case a peg is ever lost). 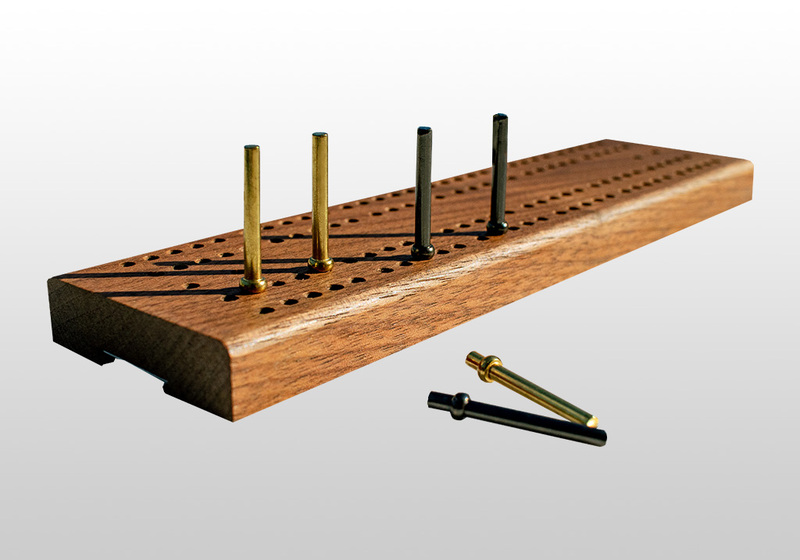 Pegs are gold and black for better contrast and visibility.